Syed Allama Baqir Zaidi injure­d, his guard succum­bs to injuri­es. KARACHI: Leader of the Jafaria Alliance, Syed Allama Baqir Zaidi, was injured when unidentified gunmen opened fire at his car in the Liaquatabad area of Karachi on Saturday, reported Express News. Zaidi’s guard, who was also injured in the incident, succumbed to his injuries in the hospital. Attacks targeting Shia families have been on the rise since the start of 2013. 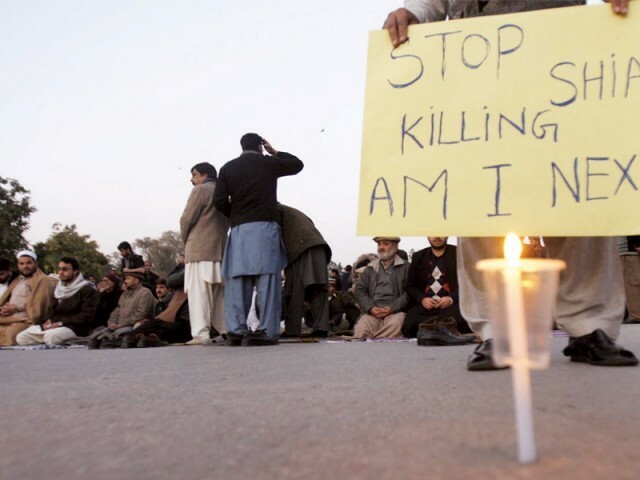 Shia community members have been frequently targeted in Karachi by extremists. Last month, poet and former principal of Liaquatabad College Professor, Sibte Jafar, was also shot dead in the Liaquatabad area. At least six people were killed in the city in separate incidents during the day. Zulqarnain, nicknamed Prince, was attacked near his shop. In Pakistan: Human rights? or wrongs? HRCP report paints a gloomy picture of the state of human rights in the country. The blast is not a result of sectarian violence, says Allama Abbas. Ban Ki-moon calls for swift and determined action against those claiming responsibility and perpetrating such actions. Where is the Ministry of Law and the Interior?? More concerned about protecting Dictator-General instead of the citizens of Pakistan. Where are the national security agencies, always on the forefront of protecting the corrupt establishment, instead of protecting the citizens?? Pakistan needs a government of the People for the People. The faster that happens the better for all. Sectarian violence in Pakistan is increasing with the passage of time and the people are facing insecurity in this regard, so the government and security agencies have the strong responsibility to maintain peace in the country. The people of Pakistan are very much hopeful that the coming government will do some special work regarding this aspect. very well Delete the Shia because they are not human beings, why not the so called Islamist go go Myanmar and Palestine to save their fellow Muslim brothers. How much money do you get from Shia, in Karachi violence is targeting everyone. Hundreds of people dying in Karachi and Pakistan everyday. ET never metion “SUNNI DIED”.